If you’re like most people — you LOVE that scrubbed-clean look and feel of your teeth after a thorough cleaning. At Artistic Dentistry, our Hygienists utilize a combination of hand tools and an ultrasonic cleaner to scrub away the film or plaque that builds up on teeth and around the gumline. Even if you’re religious about your at-home care, you’ll likely have this film of buildup. Getting regular cleanings is probably the most economic investment you can make to preserve your teeth. Our aim is to keep your teeth and gums in a clean, healthy condition and monitor signs of gum disease so it can be treated right away to prevent it from advancing. Cleanings are mainly about preserving gum health. The Center for Disease Control estimates that nearly one-half of all Americans 30 and over have some form of gum disease. As we age we become more susceptible to infection, and gum disease is an infection that, left untreated, can affect overall health. Research has shown that gum disease is linked to heart health and diabetes. Cleaning infected gums at the onset helps prevent the infection from burrowing deeper into the gum tissue. Left untreated, infection eventually causes the gum tissue to pull away from the teeth, swell and get red. Not only is this unattractive, but often leads to chronic foul breath. Eventually, the infection begins to eat away at the underlying bone. If you’ve got gums – you need a cleaning, since the main purpose is to preserve gum health. 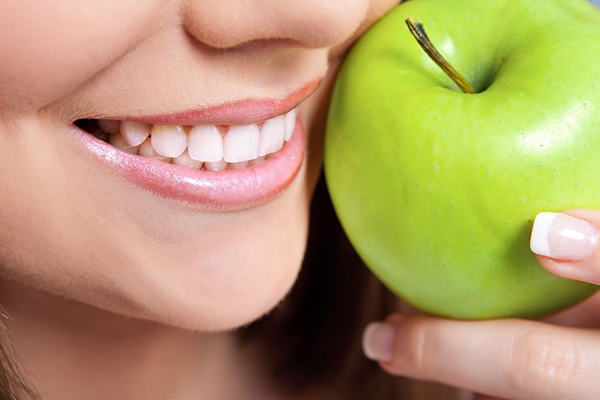 Sensitivity is an indication that you definitely need regular cleanings to restore your dental health. Healthy teeth and gums aren’t sensitive when cleaned professionally. Decay and plaque can develop and advance at any time so waiting a year to treat a cavity or gum disease can cost more than the Hygiene visit. Regular cleanings get to spots that your hoe health care can’t reach. medications that could be causing dryness. It’s estimated that Dr. Pete has performed upwards of 75,000 dental exams over the years. With his breadth of training in most areas of dentistry, in addition to a study of natural healing since the 1980s, you can feel confident that conditions won’t go undetected. If a condition is detected, Dr. Pete likes to get to the bottom of its cause so the correct treatment can be prescribed. Doc’s mission statement is to put himself in the shoes of the patient and prescribe what he would for himself. the movement of your jaws and joints and how they impact all of the above. Examination of the teeth after they’ve been cleaned. Review your x-rays and discuss with you and your hygienist any findings during your cleaning. Discuss any concerns about your dental health or recommended treatment. We’ve covered pretty thoroughly all the reasons to maintain regular hygiene visits with a thorough, caring provider whose team cares about the health of your mouth. You may realize now that the condition of your teeth and gums is a gauge of the level of systemic inflammation present in your body. Systemic inflammation is the precursor to all disease. That’s why it’s so important to your overall health to make hygiene visits a routine part of your health care. Lastly, you should know that most dental emergencies in our office occur due to neglect. They typically result in treating a condition that would have been avoided with regular Exams. For example, root canals and extractions are the most common emergency treatments. We hope you can see the wisdom of having a Cleaning and Exam every six months. For our patients without dental insurance, check out our In-House Dental Plan called “ADDP” – Artistic Dentistry Dental Plan. It makes these twice a year visits very affordable, and even includes a no-charge emergency exam and 10-50% off treatment. There’s no longer any reason not to have excellent dental health!